Codrin Arsene, Digital Authority Partners’ CEO, had the pleasure of talking to Mike McDonnell on his popular entrepreneurship podcast called “The ROAR Show!.” You can tune in and subscribe to Mike’s podcast on iTunes, PodBean, or Acast. 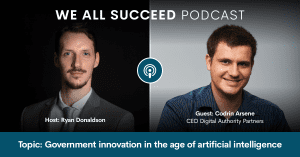 In this provocative artificial intelligence podcast you can learn about DAP, our background as a company and how we think creatively about defining real solutions for amazing problems. 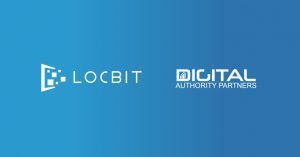 How to address some of the regulatory and philosophical problems related to Artificial Intelligence adoption. 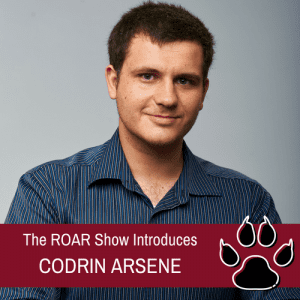 Listen to Codrin Arsene’s conversation with Mike McDonnell on his popular entrepreneurship podcast called “The ROAR Show! 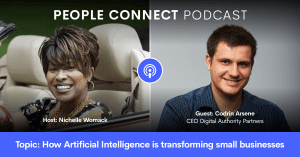 This is an Artificial Intelligence podcast you will not want to miss out on! If you liked this podcast, don’t forget to LIKE the official Facebook page for the Roar Show. For a more in-depth discussion about blockchain in healthcare, check out our ‘Blockchain in Healthcare: An Executive’s Guide for 2019‘ report.